So I went to a local dermatologist. "Ah--this is normal this time of year. You're simply allergic to the air." 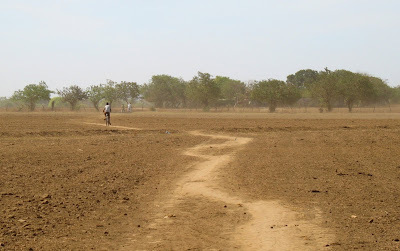 The 'air' meaning the 'dust'--the insecticide, fertilizer, burnt-garbage particulate that settles on EVERYthing in León before the rains return in May...Months of hazy skies and constant mopping: "Oh, is that all?" I remember thinking...Allergic to the air! Hmm...How does one avoid exposure to the air? A bit of panic ensued, but then an injection, some ointment and travel plans calmed things down. 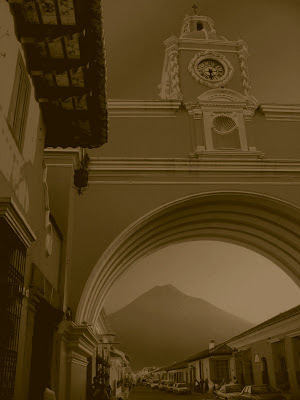 Just on the other side of the 13,000-ft.-high 'Agua' volcano lies the city of Antigua--the original Spanish capital of the country, founded in the 1500's. After several centuries of earthquakes, the authorities decided to move the government to present-day Guatemala City in the 1700's (which is still earthquake-prone, but further away from the volcanoes). After the administrative switch, Antigua sort of languished in undeveloped bliss, thereby avoiding the urban sprawl that characterizes most other Central American cities. 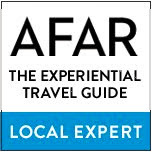 It is a pastel-toned Baroque jewel tucked amidst three 13,000-ft volcanoes, surrounded by coffee and avocado plantations...Forgive the 'tourist-brochur-ese' here, but the place is seriously, absurdly picturesque. 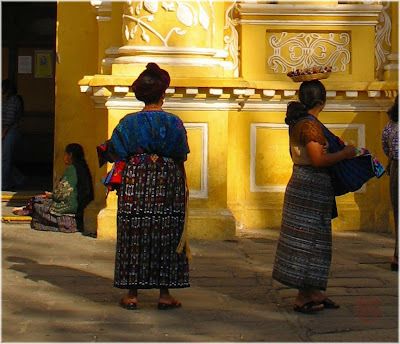 Along the streets, Maya women still wear their traditional clothing, which they weave themselves, while they try to sell things to tourists. And as beautiful as Antigua is, it's hard not to get annoyed at the 'Californication' of the central part of the city: art galleries, cappuccino-cafés, hotels and jewelry boutiques--all owned by foreigners--have crowded out and priced the local people out of their own city. The businesses and the customers would belong just as well in Santa Barbara or Sedona...Here's a cynical point of view: Antigua is almost a Central America-theme park: Come look at architecture and landscape, without having to be 'bothered' by the local poverty! And yet, what is there for such a place to do, aside from tourism? 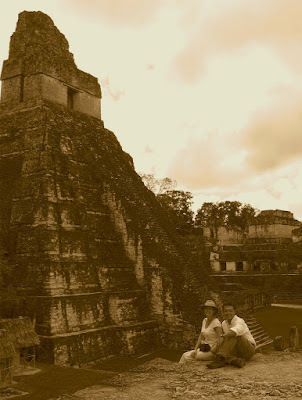 While we were living in Central America, my wife and I wanted to make sure to visit the Mayan ruins at Tikal. So after a few days near Guatemala City and Antigua, we caught a quick flight (45 minutes, as opposed to an 8 or 9-hour drive over bumpy roads) to the jungle of the Yucatán. It's a shame that Mel Gibson's recent hyper-violent depiction of the region may well be many people's only image of the Maya world... But I think back to my simplistic middle-school 'geography' education: In the brief mention that Meso-american cilivization warranted, it boiled down to this: Aztecs--BAD; Maya--GOOD! Not so simple. But very impressive. And to get up early and hear parrots, toucans, and howler-monkeys in the trees around the millenia-old stone structures: unforgettable. 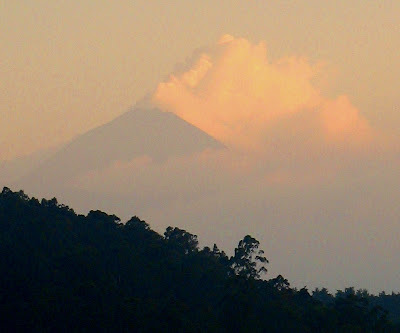 Yes, yes, I know--I'm obsessed with photos of volcanoes.